Dance Marathon Involvement: Executive Director (2016-2017), Morale Captain (2015-2016), Morale Leader (2014-2015), PR Committee Member (2013-2014). In the four years I was involved with For The Kids at Georgia Tech, I personally fundraised over $10,530 for Children’s Healthcare of Atlanta. BME HealthReach Undergraduate Lead & Teaching Assistant: Biomedical Engineering program that teaches STEM topics to patients at Children’s Healthcare of Atlanta using their disease & treatment as a springboard for learning. Coordinate program, PBL-style class, and volunteers. Phi Mu Fraternity: Philanthropy Chair (Exec Board position – CMN/CHOA liaison), Ritual Chair. Post-Graduation Plans: Working at Children’s Healthcare of Atlanta’s Strategy Department in a project management role. Edwards with the For the Kids at Georgia Tech executive board and their 2017 fundraising total benefitting Children’s Healthcare of Atlanta. My initial mission with Dance Marathon was to help the families treated at Children’s Miracle Network Hospitals. I know the work that we do changes and saves families’ lives. 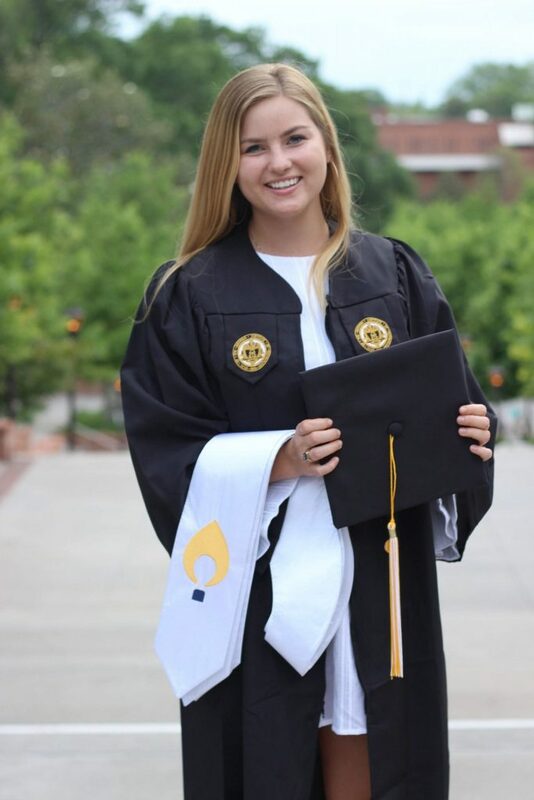 But as I took on leadership roles in For the Kids at Georgia Tech (FTK), I’ve watched FTK change college students’ lives, just as similarly as it changed mine. Miracle Network Dance Marathon programs are perfectly designed for college students of all walks of life to get involved in service. Whether you come to Dance Marathon for a few hours and play some games and listen to a miracle story, stay the whole time and be a part of the total reveal, join a committee and have hands- on tangible results, or serve on the executive board and eat, sleep, breathe FTK, there is a place for you in Dance Marathon. DM makes service fun, easy, and accessible. Over the past four years, I have seen the transformation FTK has had on Georgia Tech’s campus. As my love for FTK has grown, so has my love for my Institution, and quite frankly, they go together hand-in-hand. Georgia Tech’s motto is “Progress and Service”. We claim to be producing the brightest minds of our time, and in my opinion, involvement in movements like Miracle Network Dance Marathon are essential to this goal. Tech undeniably exudes “Progress”. What, in my opinion, could use some more emphasis is “Service” in the daily life of a Georgia Tech student. FTK & Georgia Tech Dance Marathon is the easiest and perfect way to connect students to their community and to something larger than themselves. To remind them to always think big picture, and to ground them as citizens of the world. I will continue to participate in Dance Marathon as an alumna because I believe that Miracle Network Dance Marathon shapes well-rounded and grounded college students and world leaders. 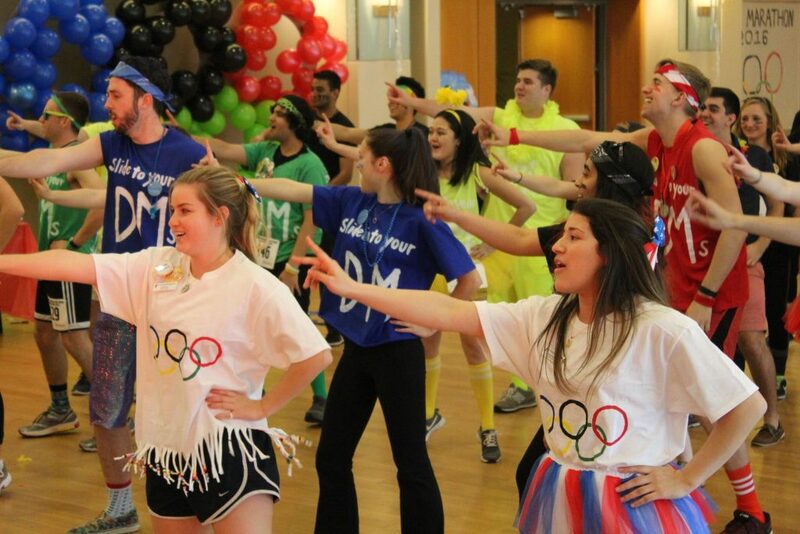 Students should get involved with their local Dance Marathon program because it is fun, easy, and instantly rewarding. There is a place for everyone at Dance Marathon and you’ll never bond with a group of people as quickly as you can bond with those who are united for one cause and one passion. It’s okay if you don’t “Get It” right away. And it’s okay if your “why” changes throughout your time in college and your involvement with Dance Marathon. In my opinion, college is one of the most selfish places in the world. You are consistently thinking about “what am I going to do today?” “What grades am I going to get” “What job am I going to find” “What friends should I make the time to see”. Dance Marathon is the easiest way to zoom out, remember what is truly important, and focus entirely on someone other than yourself, while always having a direct, tangible impact. 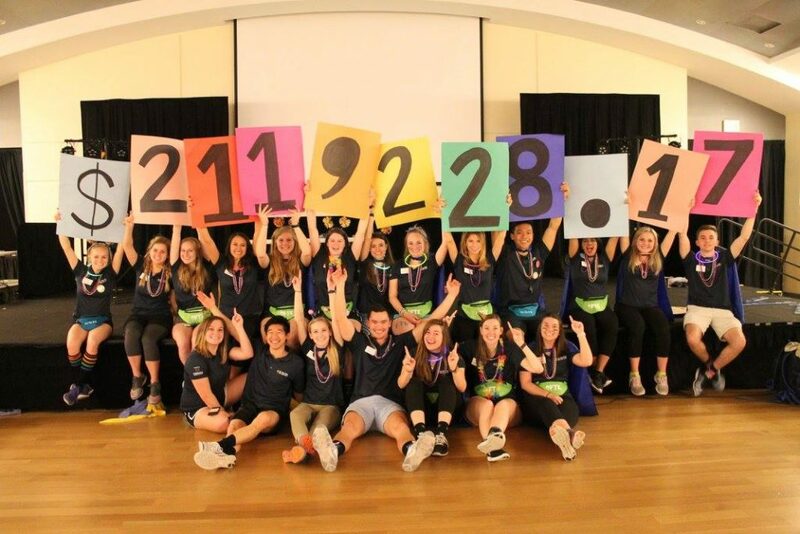 The connections you will make through your Dance Marathon program are invaluable, and will last beyond your college years. Everyone has a direct relationship with childhood illness – it is something we can all fight together. Be a part of one generation fighting for the next and join the FTK family! Edwards helping to teach the morale dance at their Dance Marathon event. Conducting exit interviews for outgoing exec members as well as interviews for new exec applicants revealed something huge to me. There was a common theme in all the interviews – everyone was incredibly impacted by my number one goal for the year. Inspired by one of my favorite books, “Start With Why” by Simon Sinek, I wanted to bring a new way for all members to consider their involvement with For The Kids. A lot of Tech students tend to shape their involvements around resume building and gaining experience. While our organization does provide these opportunities, I wanted FTK to be different. To be the organization for others as it had been for me the past three years: a reminder that we are a part of something so much bigger than ourselves, and we have the power to make a difference. So, I implemented “start with the why” and encouraged every member of FTK to find his or her own “why”. Each exec, all-member, and committee meeting this year started with some form of “the why”. Whether it be a miracle story, an encouraging event that we put on, or someone’s personal experience with FTK, sharing these why’s had a huge impact on not only the success and growth of our organization this year, but the overall personal engagement that each member had as well. Along this path, I also spearheaded the creation of a Mission and Vision statement for FTK on campus. I wanted our organization to have a central “why” and an always-guiding principle for every decision that exec will make. It has been hard for me to accept the praise that FTK has received all throughout the year, but now as I reflect on this past year, I am most proud that I implemented this idea, because FTK is refocused, reenergized, and now that the culture shift has happened within our organization, it is in place to make a huge culture shift on campus. It is one thing to lead, it is another totally different task to lead one’s peers. My first year on exec, I was incredibly frustrated. It was my job as a Morale Captain to hype everyone up, inspire them, and get them excited about our cause. Unfortunately, I was often taken aback when my #1 passion and priority, FTK, was not someone else’s. I didn’t really know how to encourage them to take their commitment and our cause as seriously as I did. As Executive Director, I have learned how important it is to not only always be a positive energy and cheerleader, but to remember that your peers are just that, your peers. They are college students with lots of tasks and varying priorities, and their involvement in a leadership position should be enjoyable as well as rewarding. I also learned the fine balance between when it is appropriate to step in in a conflict situation because it could hinder the success of our organization, and when sometimes it was better for me to let members of exec gain valuable experience and work out their own problems. The highest reward was watching my Executive Board & Leadership Team members achieve and exceed their goals, both for their position and personally. I have learned that sometimes there are a lot of ideas on the table, but the most important thing is to remember why you are putting your whole effort into something, remember the end goal, and then ultimately decide if an option leads one step closer to those goals and satisfies that cause. Finally, on a larger note, FTK has taught me that with the right amount of passion and dedication, quite literally anything is possible – and I have had the privilege to inspire and lead a group of talented college students to make miracles. This sense of empowerment is something I will always hold dear. 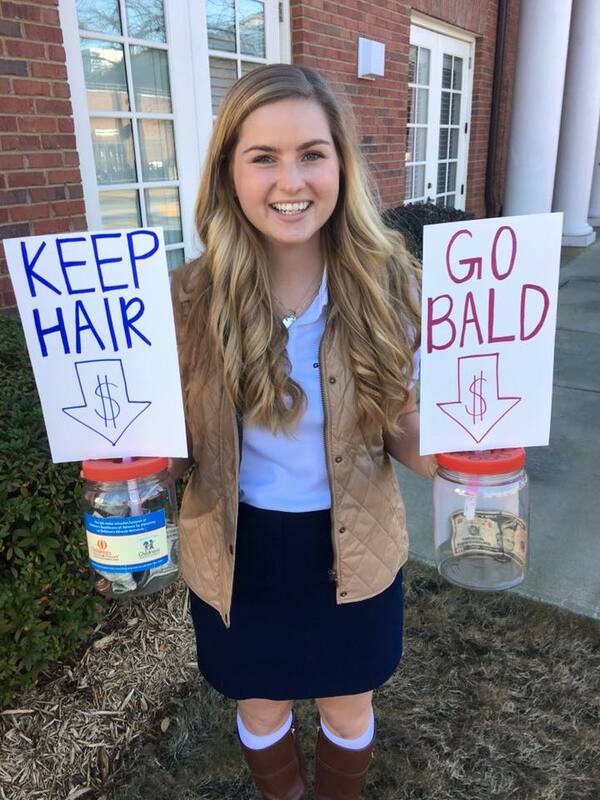 Edwards hosted a fundraising initiative where she allowed people to vote as to whether she should keep her hair or go bald through their donations. First and foremost, it is in society’s best interest to have happy and healthy children. Children’s hospitals are a necessary institution. Research shows that children do better mentally and physically when in children’s hospitals as opposed to pediatric wings in adult hospitals. CMN Hospitals provide life-saving care and so many things that ensure peace of mind and support both during and after treatment for so many families. The heartache doesn’t end when treatment does. Child illness does not solely affect a segmented population, either. Anyone and everyone can be impacted by child illness, at any time. People should donate to their local Children’s Miracle Network Hospitals because they treat children and their families from all walks of life, regardless of background, and you never know when you or your future child, or grandchild might just need expert care. Edwards is graduating in May with a B.S. in Biomedical Engineering.